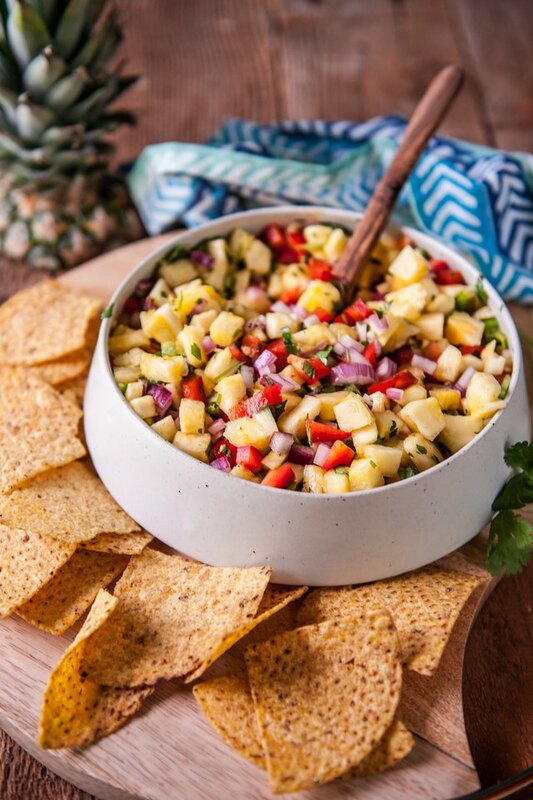 Pineapple salsa is a win every time. 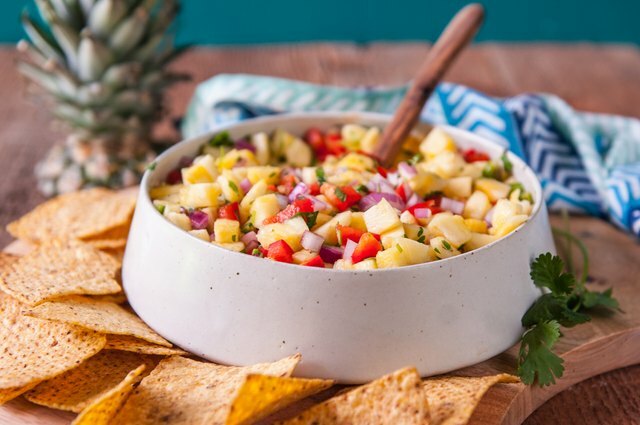 Just a few minutes in the kitchen to chop up all the ingredients and you have yourself a quick and easy, no-cook appetizer that makes you look like a super star. 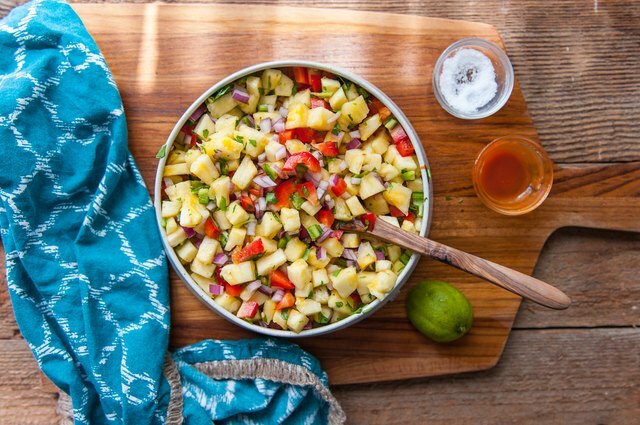 It is also the secret topping to the worlds best pulled pork sliders, or chicken tacos, or even grilled fish (grilled salmon with pineapple salsa?! Yes, please). 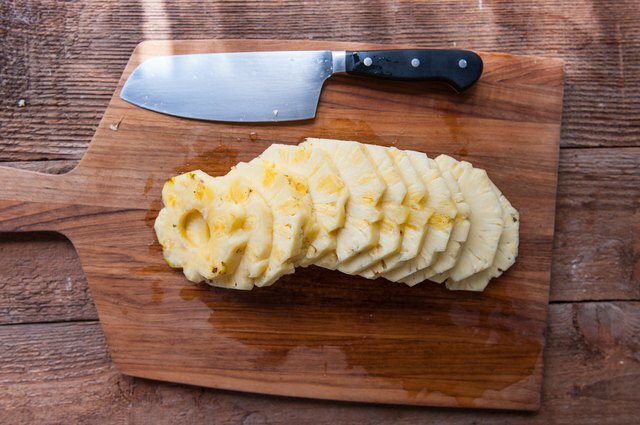 There are so many ways to use this magical condiment that you may find yourself hoarding pineapples. Smell test: Smell the bottom of a pineapple to see if it's ripe. If it smell sweet, you're golden, if there is no sweetness, or if it smells fermented, pass on it. It should also be more brown and gold than it is green and firm to the touch, not soft. Cut the spiky top crown of the pineapple off, as well as the round bottom stem end. Stand the pineapple up on one end, cut downward to remove the skin without removing too much flesh. 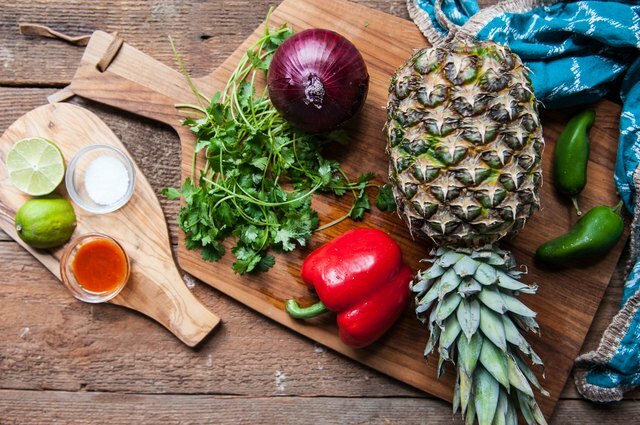 Try to remove as little of the pineapple flesh as possible. Use a knife to cut into the spots around the round eye spots to remove. 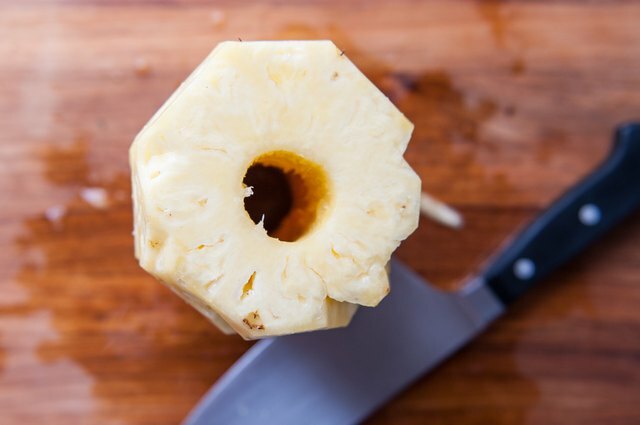 Use a pineapple corer to remove the core. 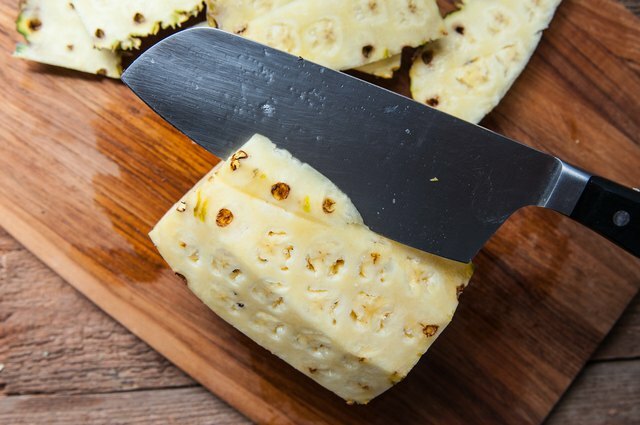 You can also slice the pineapple with the core still intact and remove the core after slicing. 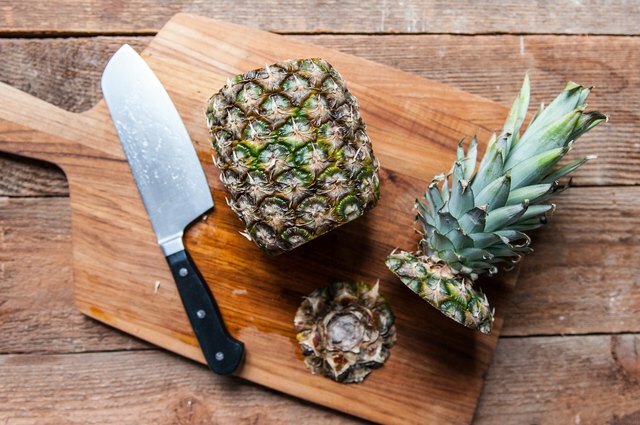 Slice the pineapple into 1/4 inch rings. 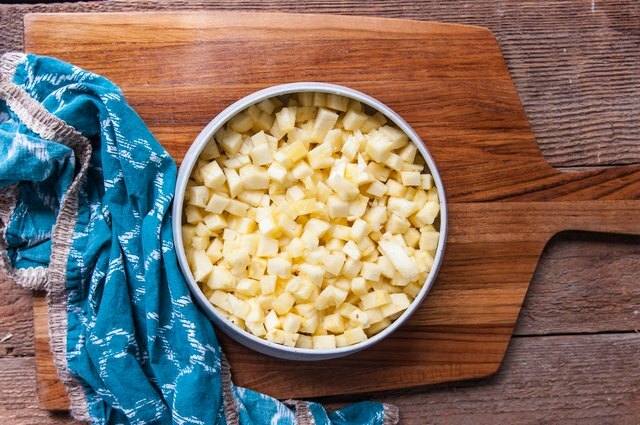 Dice the pineapple into small chunks. Place in a large bowl. Chop the red pepper, jalapeño, red onion and cilantro. Add to the bowl, toss to combine. The heat in jalapeños vary wildly. One pepper can be up to three times hotter than the last. The best way to manage the heat is to remove all the seeds and inner membranes (where most of the heat and none of the flavor hides), and just add the jalapeño itself. Use hot pepper sauce to crank up the heat if needed -- it's more predictable! Add a small amount of salt, hot sauce and juice from half the lime. Toss and sample, adding additional salt, lime juice and hot sauce to taste. Cover and chill until ready to serve. 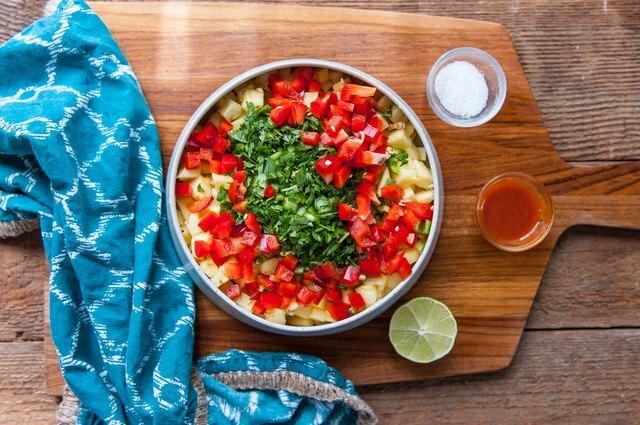 While salsa can keep in the fridge for a few days, it's best served right away. 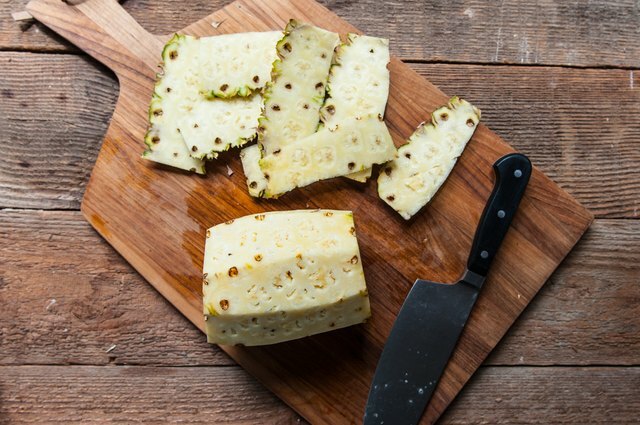 The pineapples can get a bit soggy after a day or two, even though it's still safe to eat!